The philosophy of Go Buddy is simple: Pets are part of the family. When you and your furry friend are always on the go, you both need products that are ready when you are. So we created products tailored for pets and their owners' active lifestyles. Wherever our little friends go, we go too! Go Buddy is here to help make your pet-owning experience a delightful and stress-free one - the way that it should be. 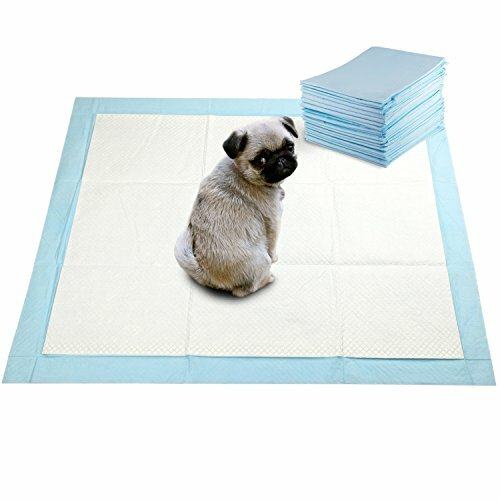 DISCLAIMER: Go Buddy shall not be liable for any claims for injuries or damages resulting from or connected with the use of the Pet Training Pads. WARNING: SUFFOCATION HAZARD - Keep out of reach of children. This product is designed for pet training purposes only. Do not use Go Buddy Pet Training Pads for any other purpose. If you have any questions about this product by GOBUDDY, contact us by completing and submitting the form below. If you are looking for a specif part number, please include it with your message.